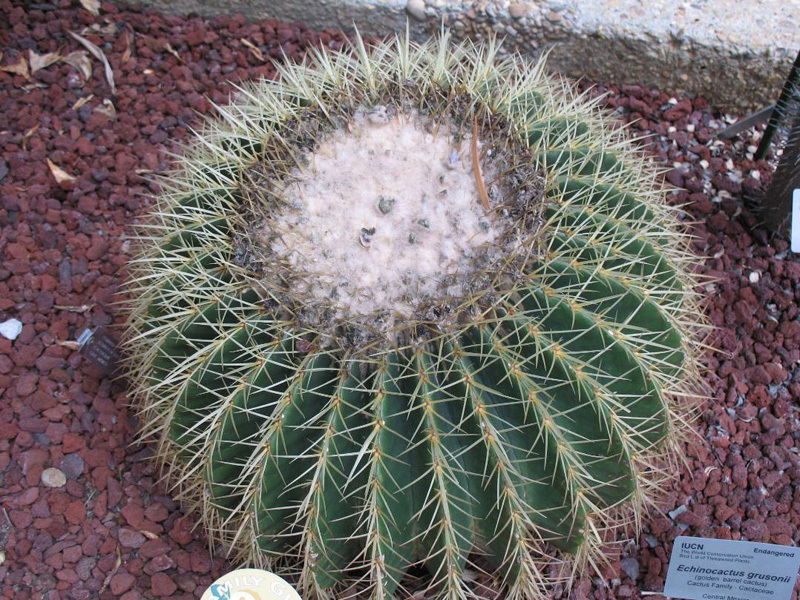 Comments: Barrel cactus is widely used as a landscape specimen in the warmer, drier areas and it is rare and critically endangered in the wild. Small yellow flowers appear around the crown of the plant, but only after specimen is 20 or more years old. It is easy to grow as long as it is not overwatered in the cool season. For a cactus, this one grows relatively fast. Used as a container plant that goes indoors during freezing weather and the outside when warm weather arrives.